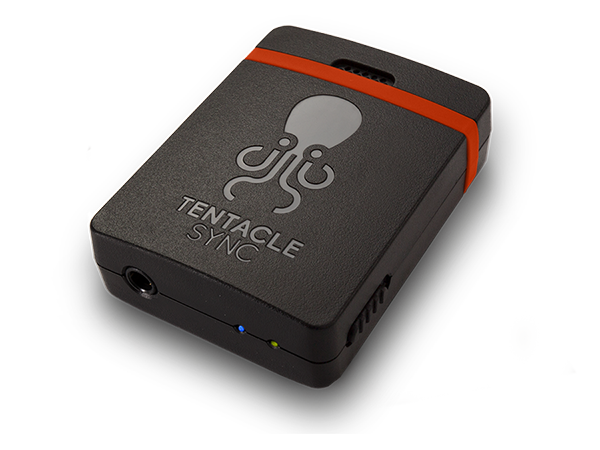 Tentacle Sync E is built on the idea of providing you with an easy to operate and reliable timecode and sync tool that works in nearly any kind of setting. No matter how small or complex your shooting challenge is, the Tentacle Sync E is the right companion for your creative task. Spend less time thinking about setting everything up and spend more time on what you do best: being creative. SYNC OVER BLUETOOTH – YES IT WORKS! Some of you might be thinking: why Bluetooth? The answer is simple: Most of our customers don't leave home without their phones or tablet and Bluetooth is the most common and widely-used wireless technology used by almost all of them. The solution for cable-free operation is right in front of you: in the palm of your hands. Battery. Sync E uses Bluetooth low energy. This means, your Sync E offers a battery life of up to 35 hours – no matter if you use it for setup, syncing or monitoring your devices. Connectivity. Forget the old phone/car radio connectivity problems. 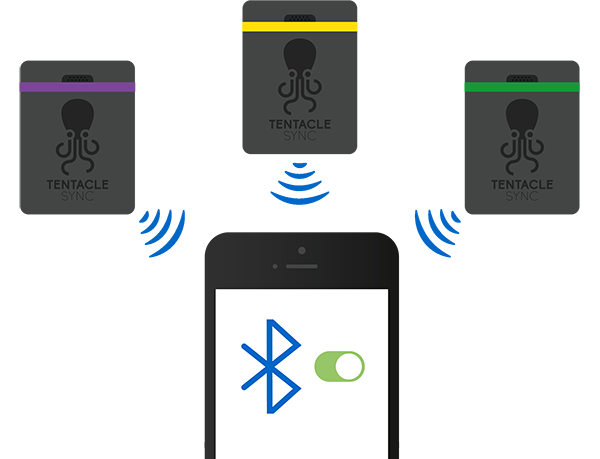 With Bluetooth LE you simply hold your phone close to your Tentacle Sync E to link it with your app. Monitoring. Tentacles don’t have a built-in display – and that’s just how we like it. The best user-interface is your phone. Use it to monitor and setup your Tentacle Sync E with a frame-accurate timecode display, without the need for any additional expensive equipment. Accuracy. 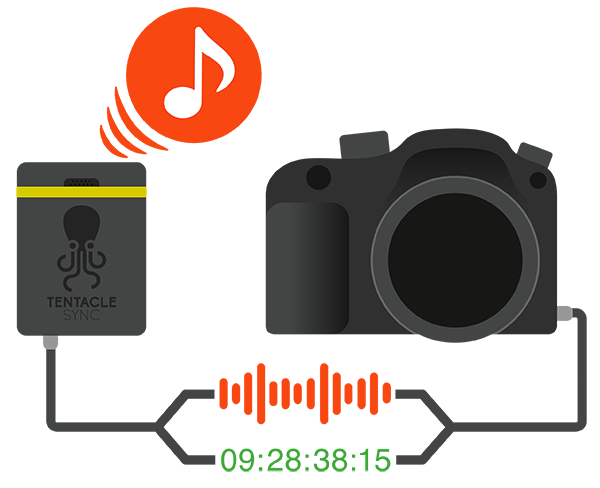 Tentacle’s sync algorithms allow you to monitor your Octopodes with frame accuracy via the Tentacle Sync app. Future-proof. 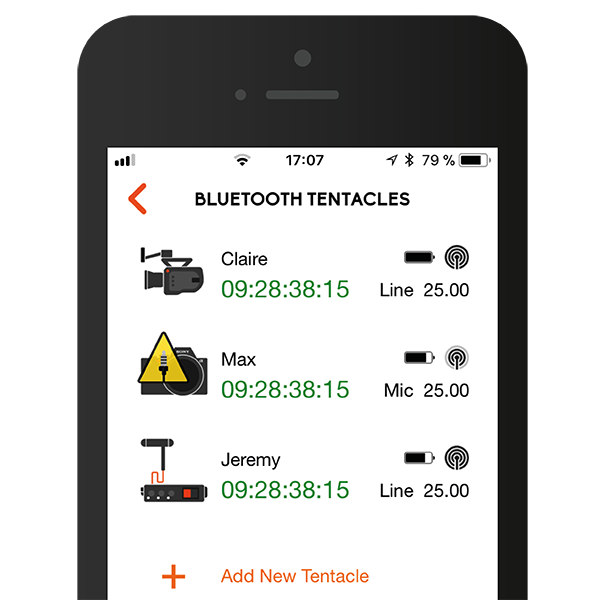 Every Tentacle acts as a master and broadcasts timecode independently via Bluetooth. Almost every mobile device can make use of this timecode, opening up a whole world of seamless connectivity sync network without needing any new technology – straight out of the box. Connecting timecode equipment to the mic input of a DSLR-type camera cuts off the internal audio. Tentacle Sync E is the only solution available with a high-quality built-in ‘scratch’ mic. 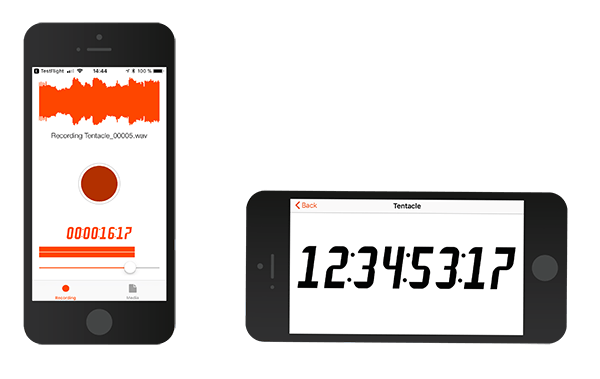 Record both timecode and ambient sound simultaneously with just one single device. Who wants to buy extra non-standard and unusual cables or connectors? Probably nobody. At least we don‘t. That‘s why we decided to add a clamp to the Tentacle Sync E, making the connector lockable. 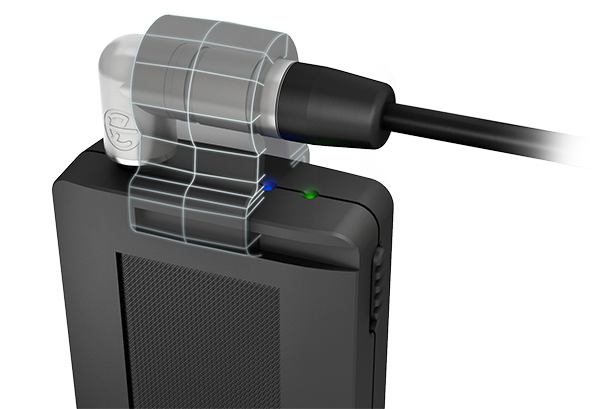 And to make things even easier, we just used a 3.5mm mini jack – without a doubt the most common and versatile connector in the world. It’s all designed around you, not us. You don’t want to bring extra devices to the set? Tentacle Sync also offers additional native iOS & Android apps such as the audio recorder. Just use your phone for recording synced audio. Third party apps such as Movie Slate also have full Tentacle support, making it even easier to shoot professional video on the go. And the best thing: they are all free. Of course, every Tentacle unit comes with Tentacle Sync Studio (macOS) enabling you to sync your material with just a single click. It works with nearly any kind of timecode, even if you have used a different timecode technology than ours.